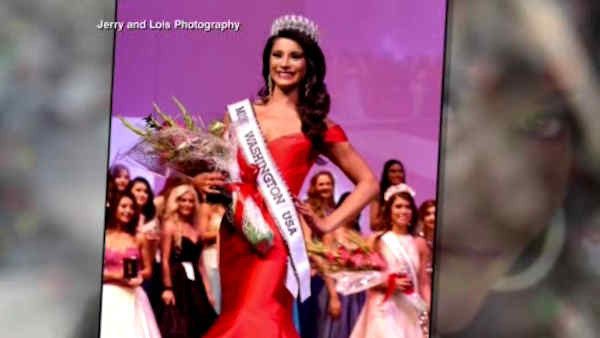 SEATTLE (WABC) -- Pageant officials say Miss Washington USA Stormy Keffeler has resigned her title after she failed to disclose a DUI conviction, in addition to other controversy swirling around the brunette bombshell. Winning Miss Washington USA 2016 was her crowning achievement, but now, it's all just a painful memory. "For days, I told people, 'You can take my title off my cold dead body,'" she said. "I was willing to fight to the end. But after having a meeting with the pageant production company and seeing my family, I realized that the most selfish thing I could do was to continue on with this. And I realized that I'm still myself. I still have the opportunity to change the world. But I need to do it on my own." The unraveling began when Keffeler was caught driving with two flat tires last April, "eyes were droopy, bloodshot and watery" and "her speech was very slurred," according to the police report. She pleaded guilty to drunk driving with a blood alcohol reading nearly three times the legal limit just a month before the pageant, but she never disclosed it to pageant officials. "The paperwork says 'Have you been convicted of a felony,'" she said. "When I contacted my lawyer, he told me that it was a misdemeanor, not a felony, so I didn't mention it." And now, there a new scandal. Seattle police are reportedly investigating a bizarre scene in which Keffeler was with Major League Soccer player Marco Pappa last month when he was mysteriously stabbed in the stomach. No charges have been filed, but police are reportedly still trying to unravel the strange scene. Keffeler won't comment about it. "I am a changed person, and I'm willing to go out and prove it," she said. "It's hard when a dream you had comes crashing down...so I'm still hopeful that I still have the opportunity to change the world. But I need to do it on my own." Northwest Productions and Miss Washington USA co-executive producer Maureen Francisco urged people not to judge Keffeler, calling it a very unfortunate incident and saying "we all do stupid things." First runner-up Kelsey Schmidt will assume the title of Miss Washington USA and will represent the state at the USA event this year.